(VOVWORLD) - The 6th session of the 14th National Assembly concluded on Tuesday, reviewing what has been done and clarifying orientations for the second half of the tenure. The meeting decided many national issues and resolved voters’ concerns. 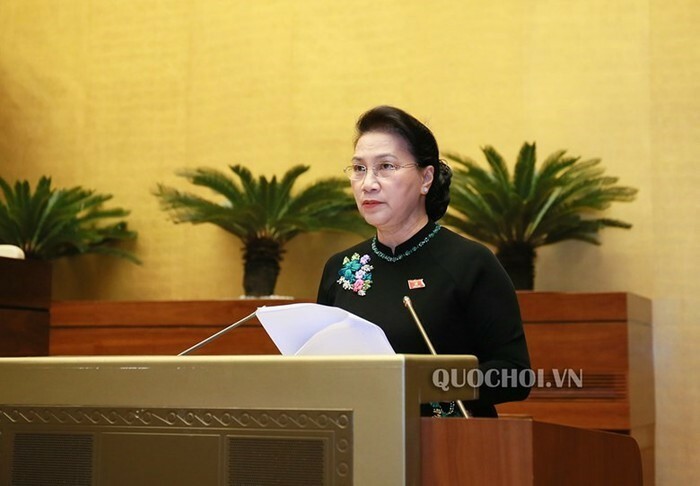 During the month-long session, the National Assembly elected a State President, ratified the Comprehensive and Progressive Agreement on the Trans-Pacific Partnership (CPTPP), and conducted vote of confidence on each official holding an elected office or approved by the National Assembly. With 99.79% approval, the National Assembly elected Nguyen Phu Trong, General Secretary of the Communist Party of Vietnam to the post of President of Vietnam in the 2016-2021 term. National Assembly deputies, who represent voters nationwide, said the election of the President meets aspirations of voters. The outcomes of the year-end session affirm the National Assembly’s determination to reform and improve its performance.